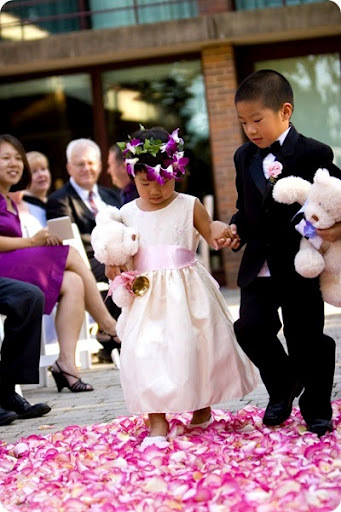 I would give the same advice as I gave to those who have a flower girl in their wedding; if you or your (soon-to-be) husband have a close relationship with your ring bearer, take time to reassure him just because you are getting married, your relationship with him will not change. Kids, especially the younger they are, may have a hard time comprehending the situation and would appreciate you taking the time to let them know you still love them even though someone else is becoming a larger part of your life. This is such a cute idea! 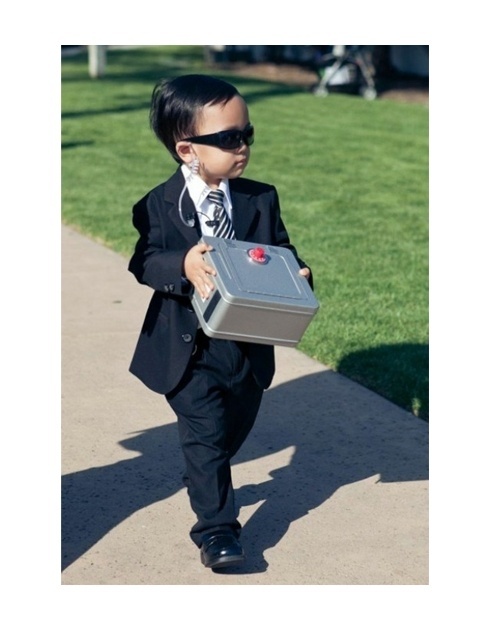 Not only does this little dude have swag with his sunglasses on, but he is on high security for the rings too. Similar to the idea above, this shirt is just too adorable! 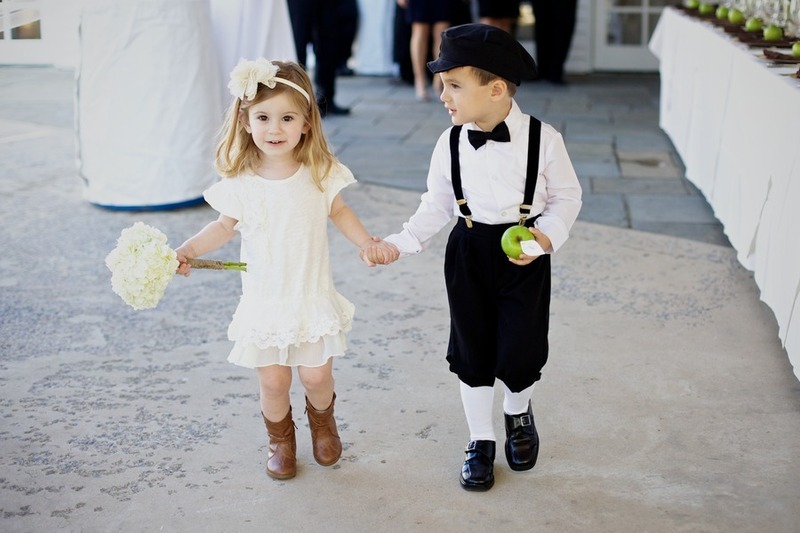 This is such a darling ring bearer outfit with shorts (or rolled up pants), suspenders, a hat, and bow tie! He looks like a little old man, but in a cute way of course! Love this idea of wearing converse instead of dress shoes! I bet your little guy will be a lot more comfortable this way too! How cool is this? 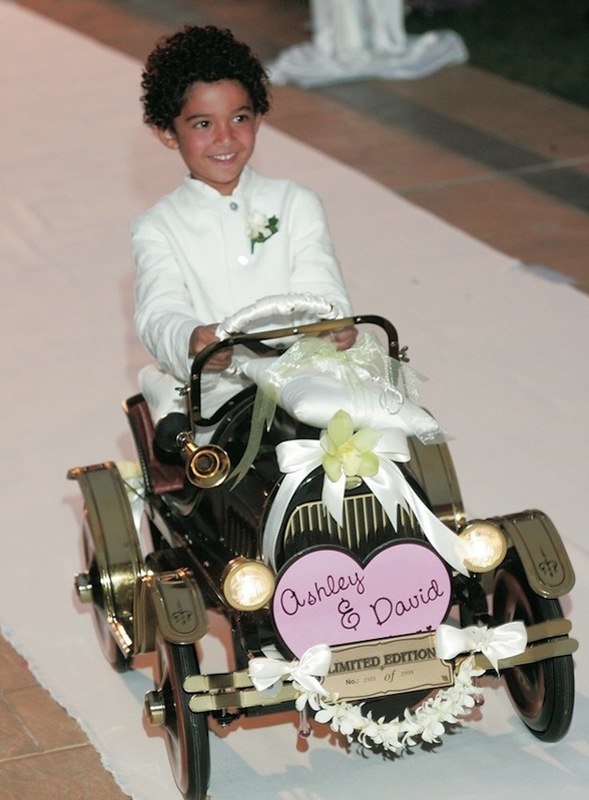 He can drive down the aisle in a little car! What a fun way to entertain guests with something unexpected. 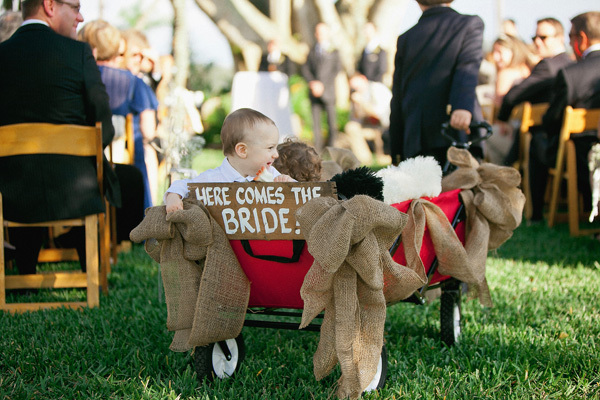 Yet another creative idea, if you have more than one ring bearer, the older one can pull the younger ones down the aisle in a wagon! 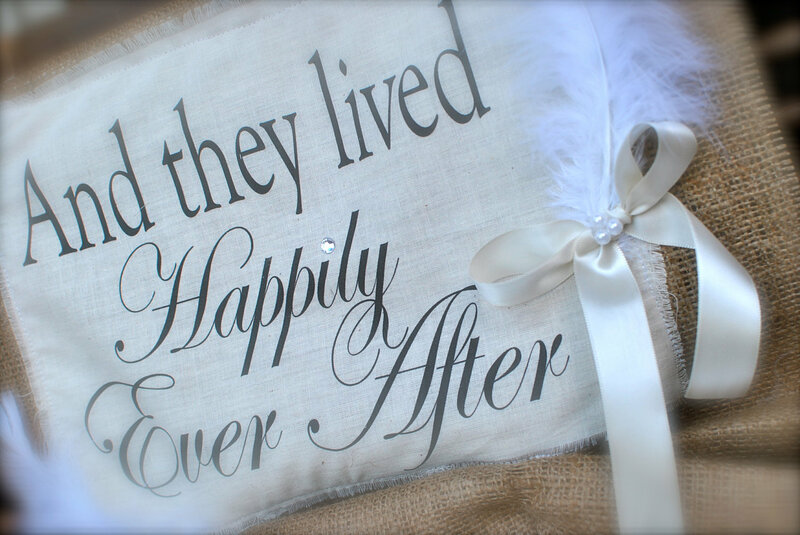 Use your favorite quote to put a unique spin on your ring pillow. 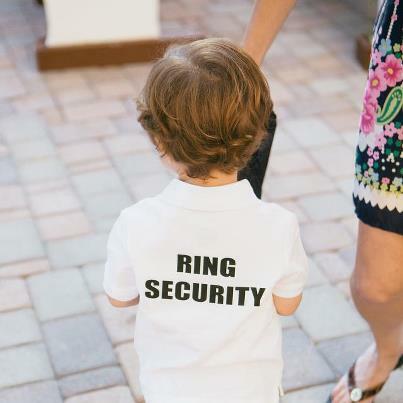 Having the ring bearer hold a teddy bear with the rings around its neck is perfect because it’s age appropriate and super cute! 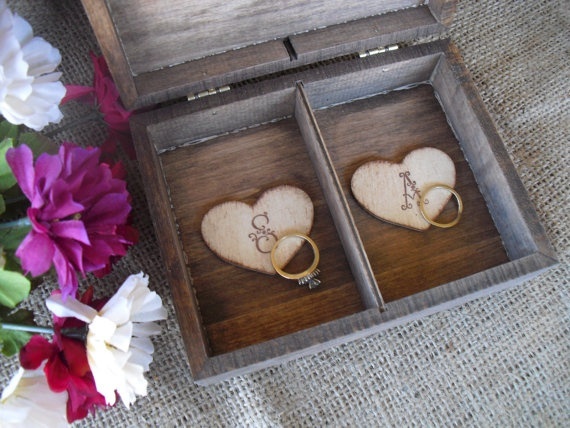 As an alternative to using a pillow, you can use a box to put the rings in, which may be a little easier for him to carry than a pillow would be. 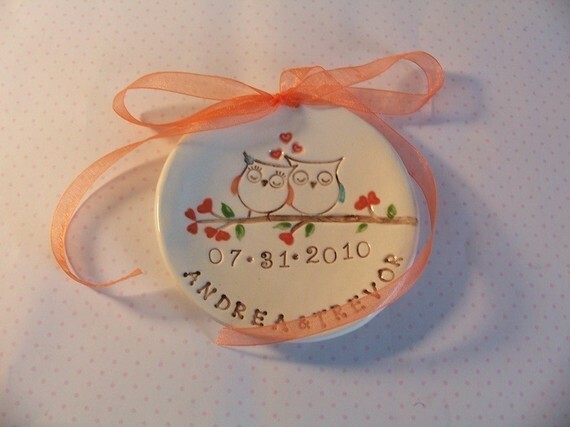 Another common alternative to using a pillow is using a small dish or plate to place the rings on. 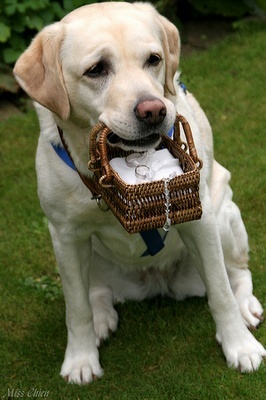 You can attach the rings with a ribbon so he can easily carry the rings down the aisle. 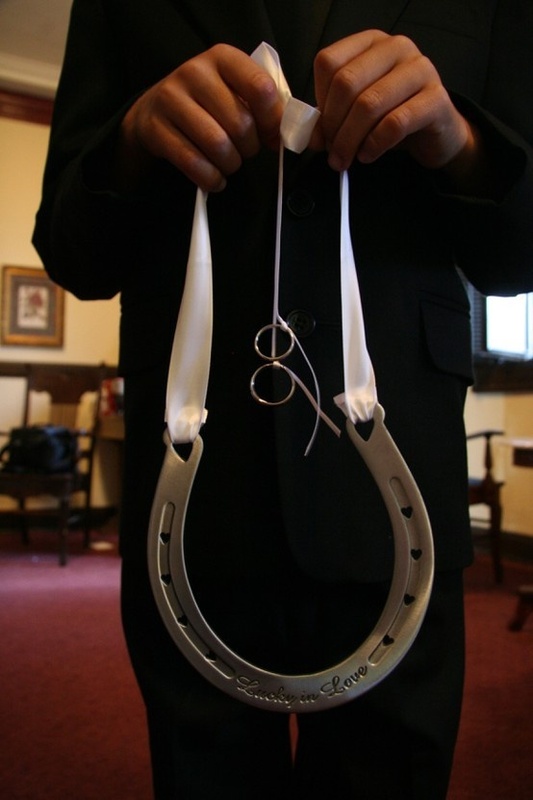 Also, love this idea of attaching them to a good luck charm such as this horseshoe. 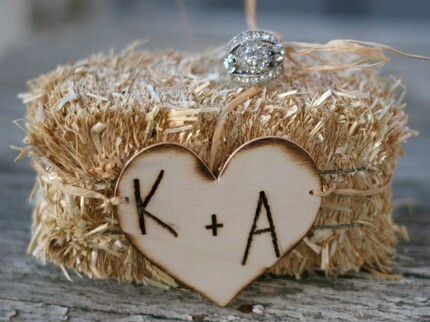 This small haystack is such a great idea for a country style or outdoor wedding. By far, one of the best ideas I have seen! “Here comes the bride” is adorable, but I think this definitely beats it. 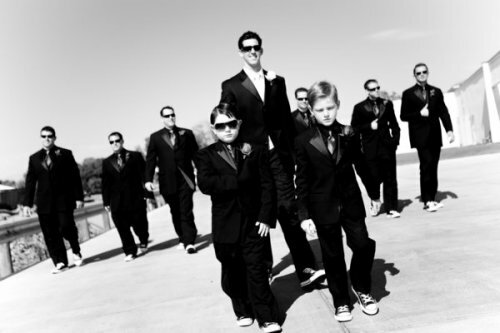 No little boys to be part of your wedding? No problem. Dogs are just as cute! As long as they are well behaved of course.